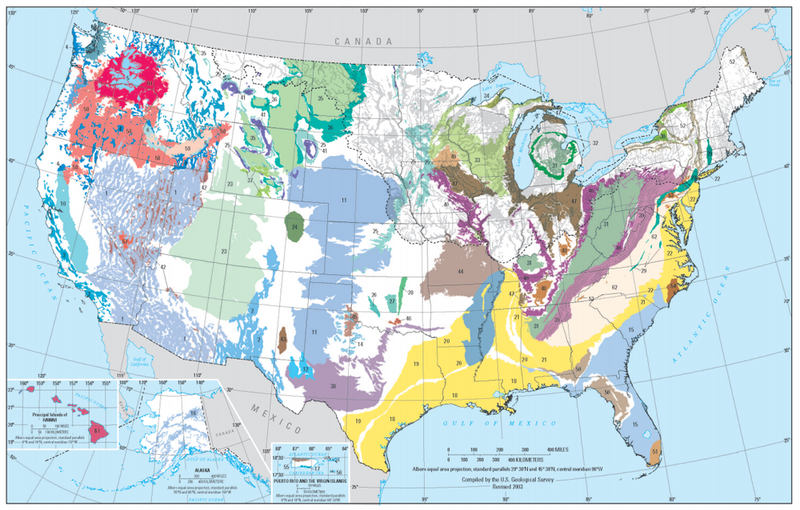 As the U.S. Geological Survey’s National Water Quality Assessment program enters its third decade, the agency has turned its focus to a nationwide look at water quality of the principal aquifers that are the top producers of public water supply in the country. The National Water Quality Assessment program launched in 1991 with a mission of developing nationally consistent, long-term datasets describing quality of the nation’s streams and groundwater. The program has collected and analyzed plenty of groundwater data the past, according to Karen Burow, a Sacramento-based hydrologist with the agency. But those have primarily focused on shallow household and monitoring wells near the surface of the water table. The USGS’ principal aquifer surveys, on the other hand, will turn to public supply wells that reach much deeper into some of the most important aquifers in the country. The agency identified 68 principal aquifers across the across the county that provide 45 percent of the nation’s drinking water. The project aims to test 1,400 public supply wells across 20 of the top-producing aquifers, sampling water after it comes out of the ground but before it goes through any treatment processes. “It’s not exactly what people are drinking in most cases, but we’re trying to get at that depth zone that’s tapped by public supply wells,” Burow said. The surveys will test for pesticides, pharmaceuticals, hormones, microbial indicators and a host of other constituents that are a concern to human health. They’ll be looking for some contaminants at levels below what’s required for standard compliance monitoring. They’ll also test for environmental tracers that can be used to understand sources and sustainability of the groundwater supplies, as well as the age of the water they’re tapping. “That will start to give us an understanding of the system as a whole and how long it will take if constituents are moving down in the aquifer,” Burow said. Combined with earlier surveys of shallow ground water, the deeper principal aquifer surveys will help complete a three-dimensional picture of groundwater quality across the country. Though the goal to is to assess water quality for the nation as a whole, the agency will also produce some analysis at smaller scales. USGS scientists have already sampled around 400 wells and plan to make it to another 300 this fiscal year.